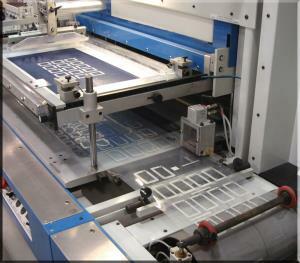 Technology: Product Marking Services are any of a variety of printing, etching, stamping, etc. services used to identify, decorate, label, etc. manufactured products such as control panels, electronic components, and so forth. Marking services usually mark directly and permanently on or into the product surfaces. Marking services are used on an array of materials including metals, plastic, glass, tile, veneer, and so on.Among the industries using marking services are aerospace, architecture, automotive, military, consumer goods, medical, and pharmaceutical. Advantages: Product marking services can provide a range of choices when selecting ways to add graphics to products. Applications: Marking services can be used for any product requiring permanent markings.